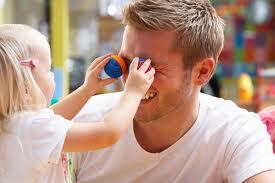 There’s just something about a single dad that women are irresistibly attracted to. Perhaps, it’s because of how he steps up to the plate and takes care of everything – his kid, their lives, their future. Nothing like a responsible, dedicated and committed man to turn you on…he’s the complete package. Imagine this – between his full time work and activities with his kid – where will you fit in? He can hire a baby sitter to watch the kid, but if he’s a hands-on father then that’s not an everyday occurrence. 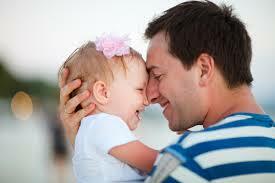 Not that you’re looking for immediate support from him, but he has a kid to take care of, and that’s not inexpensive! Think about food, school and other activities that needs to be paid to ensure the kid’s needs are taken care of. This requires a little adjustment on your part if you’re the type of woman who’s used to being “taken care of” or has a lavish lifestyle. Then you have to reconsider dating him – unless, of course he’s doing very well for himself and isn’t hurting for money. In any case though, you should be more or less financially stable yourself so money doesn’t really have to be a major factor in the relationship. You’ll be a second priority to him – at least for a very long time at the start. So asking him to choose between you and his kids are a definite no-no. He will never choose you over his kids; if you were in his place, you’d do the same. Your special events will always rely on whether the kid will have a babysitter or an activity that requires a lot of time. If you’re the type that’s used to being the center of attention or the TOP priority… put that aside for a while when you decide to date him. Single dads are mature. Having a kid is a lifetime commitment and most often, they’d have to put their kids needs first than their own. That level of maturity will be good for you because you know this attitude normally carries over into his relationships with other people – including a romantic partner. And that’s something real and worth fighting for. You know firsthand the kind of man he will be. He can and will be an excellent partner. It takes a SPECIAL woman to date this special guy. And you really have to be TRUE to yourself of how much you like this man. Because challenges will come your way, that’s a given. But, you know for a fact what to expect from him. And a guy can only gain these qualities from being a good father to their kids. Can you live with the challenges that come with dating a single dad? And do the benefits outweigh the liabilities?